With small unmanned aerial vehicles classed as a significant and growing threat, any opportunity for the military to explore its defensive posture against attacks launched by small UAVs is welcome. This was highlighted recently in a live demonstration carried out by QinetiQ Target Systems (QTS) on behalf of the Royal Canadian Navy (RCN). The demonstration, which saw QTS introduce a new service to emulate the threat posed to large naval vessels by small multi-rotor drones, was carried out in November 2017 on boad a Halifax-class frigate under the CAD$8.5 million Unmanned Targets Repair, Overhaul and Engineering contract, awarded to QTS in 2015. QTS flew its Snyper multi-rotor target, a micro-UAV threat replication system, alongside Lockheed Martin’s Indago quadcopter using QinetiQ’s Universal Target Control Station (UTCS), which facilitates the operation of multiple unmanned systems from a single command centre. The RCN has operated fixed-wing aerial targets and marine surface targets using QinetiQ’s UTCS for more than 20 years, but the introduction of rotary wing targets is a first for the service. 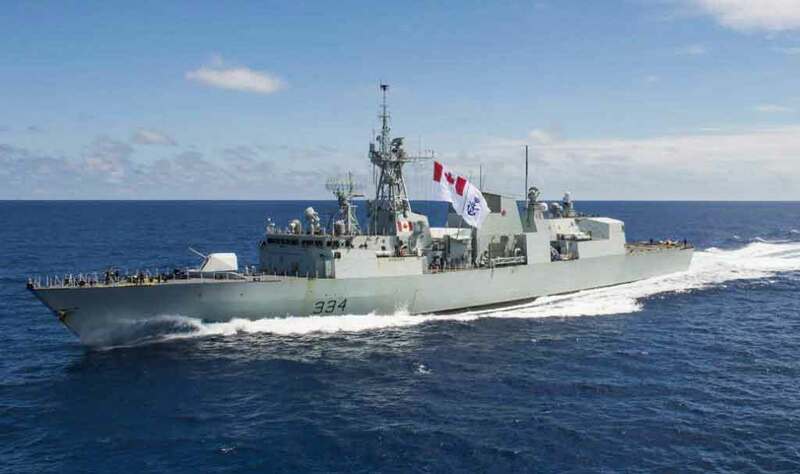 Simon Nadeau, DNR-2 Unmanned Systems Section Head Commander for the RCN, said the information and results obtained during the demonstration are vital for the RCN’s development of remotely piloted systems use at sea, and the evaluation of ships’ critical defence systems. The Snyper target is one of several QinetiQ technologies designed to help customers tackle threats from small unmanned aircraft, including the Obsidian detection system and the laser weapon currently in development by the Dragonfire consortium that will be capable of destroying drones mid-flight.